If you are interested in the medical field and applying to a graduate medical, dental, osteopathic, veterinary, physician assistant, nursing or physical therapy program, the Post-Baccalaureate Pre-Medical certificate program can help you gain the credentials you need to get there. If you already hold an undergraduate degree and are interested in pursuing a career in the medical field, then the Post-Baccalaureate Pre-Medical certificate program may be ideal for you. Enabling you to enhance your existing academic record by completing pre-medical courses, this innovative program prepares you to successfully apply to a medical, dental, osteopathic, veterinary, physician assistant, nursing, physical therapy, or other program. With a foundation at Northeastern, you will be prepared for success in your graduate program. Designed for students who require all or most of the basic pre-medical courses, or students who want to re-take courses they previously have done poorly in. 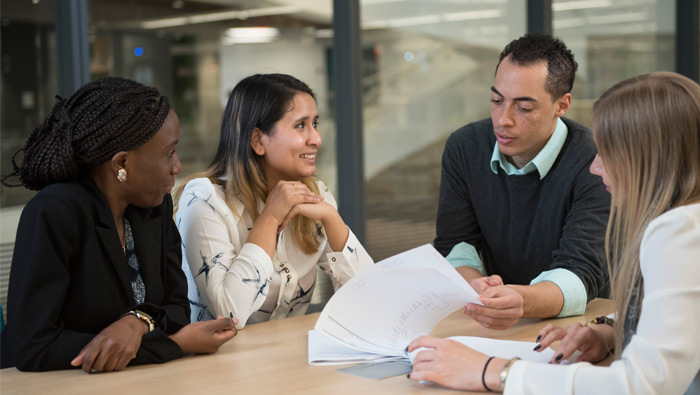 This program offers one-on-one advising, tutoring, success coaching, and other academic support services to support you along the journey to a career in the medical field. Note: To receive a certificate, students are required to successfully complete 8 of the courses below (with labs) here at Northeastern University. Employment of physicians and surgeons is projected to grow 14 percent from 2014 to 2024, much faster than the average for all occupations (Bureau of Labor Statistics, 2015). Students should check with the school(s) and programs of their choice to determine which courses they need to apply for admittance. Additional work in biology, the behavioral sciences, clinical experience, or research experience may be recommended by different schools. Students must take 8 of the courses (including corresponding labs) listed below to receive a letter packet. Students must take 10 of the courses (including corresponding labs) listed below to receive a committee letter. For more information on requirements for the Committee Letter, please go to: https://undergraduate.northeastern.edu/prehealth/applying/prehealth-requirements/committee-letter-requirements/ and review the “Post-Bacc Students” tab. The median annual wage for for Physicians and Surgeons was $208,000 per year in 2015 (Bureau of Labor Statistics, 2015).